Terrestrial orchids are the most beautiful plants to grow outdoors during winter when they thrive the most. They are quite hardy flowers but if taking care of them right, you could achieve multiple offshoots. Thus, they tend to get quite oversized hence the problem of transplanting. When you transplant a bigger orchid, you need to do it carefully to ensure continued healthy growth and flower production. 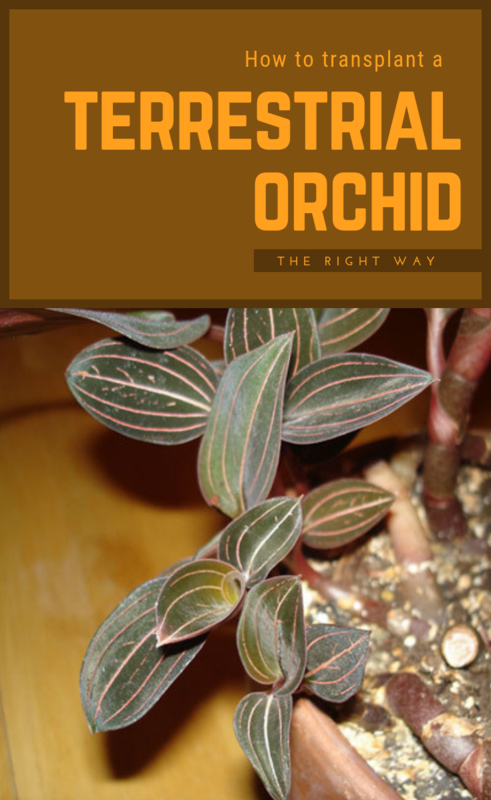 Thus, if you want to know more, keep reading because in this article you have a complete guide on how to properly transplant a terrestrial orchid. 1. Transplanting means you will need a new place with well-draining soil and good air circulation. Thus, the area should have the same lighting as the previous growing location. 2. Prepare a mixture to spread on the new planting site. For this, you will need to combine redwood bark, peat moss, and perlite in equal parts. Then, spread this about 3-inch layer and till the mixture into the top 8 inches of soil. 3. Next, start digging a circle around the oversized orchid, making sure you keep 2 to 3 feet from the center of the plant. That way, you will avoid cutting through any roots. The depth of the hole should be at least 6 inches. 4. Then, get rid of any dirt there might be on the orchid roots. Make sure you do it gently so you won’t break or bend them. Also, if you notice any rotting roots, you should cut them with a pair of pruning shears. 5. Now it is time to divide the orchid. Thus, you can do this by pulling smaller starts away from the main crown of the plant. Then, snip any tangled roots with the pruning shears and ensure that each orchid start retains multiple healthy roots. 6. You can move the plant to the new planting site. Make sure you place your terrestrial orchid in the center of the hole. You also need to make sure that the crown is sitting 1/2 inch below the soil. Now, simply spread the roots out over the bottom of the hole. 7. Fill the hole back with the displaced soil, tamping it down firmly. The area around the roots needs to be compact. Don’t overdo it, though, you don’t need to plant the orchid deeper. 8. When it comes to watering a transplanted orchid, you should apply a thoroughly and deep dose of water using a garden hose. 9. Make sure you also spread a 1-inch layer of mulch around the orchid. 10. Lastly, maintain the soil always evenly moist, but don’t get it too soggy. You can do this until the orchids begin to produce new growth.